Here are some ways to get started helping! There are many simple things we can do every day to help our environment and our planet! Not sure how to get started? We’ve listed some ways to help below and you can also volunteer at the Columbia Land Conservancy to help locally! Click below to read more information about volunteering with us! Good news is most American's are recycling more than they used to - about a third of their waste! But we still need to do more! Visit your local waste station to learn what all you can recycle! Think twice before throwing something out! The plastic bag that your produce came in can now bag your lunch or store crayons for the kids. Return organic waste where it belongs - the soil! When you recycle your organic kitchen scraps, you are significantly decreasing your amount of waste. Have a garden? Compost also helps make your plants stronger and healthier, and reduces the needs for fertilizers and chemical pesticides. Line dry your clothes rather than running an electric or gas dryer. It will save energy and save you money! Plus, your clothes will smell clean and fresh from the outside breeze! The Earth is littered with plastic bags all over that cause harm to animals and the environment. Keep a few bags handy in your car! The average faucet uses about three gallons of water per minute! Turn off the faucet while you brush your teeth. Plant a tree in your yard or local community! Trees trap CO2 emiossions and lower the effects of global warming. Along with many other benifical effects, like collecting dust particles in the are and reducing noise pollution! 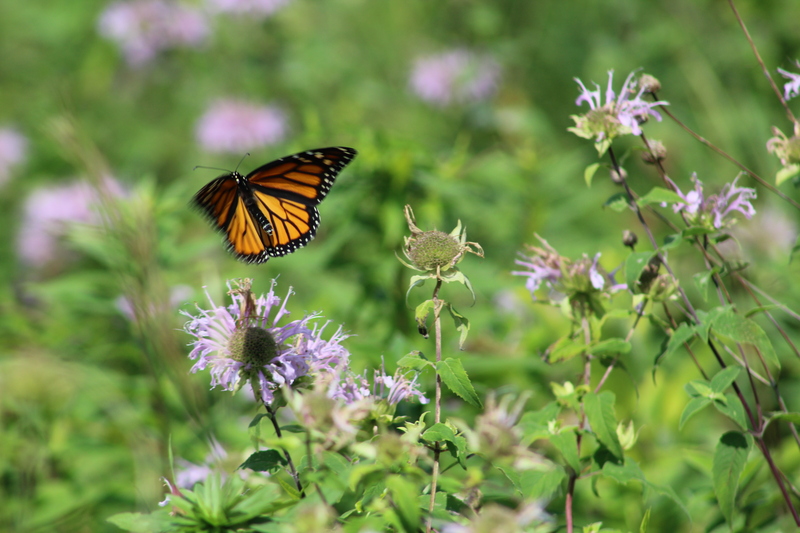 Use native plants in your garden! These are better adapted to your area and will require less maintenance and less water. They will also provide a favorite snack for our pollinator friends! Save the Date for National Pet Day! Do you have a Good Dog? Of course you do! April 11th is National Pet Day! Take this day to pamper man’s (and women’s) best friend with some local treats! From Thursday through the end of April the Columbia Land Conservancy and Samascott Orchards are partnering up to provide some special treats for your favorite pup! Stop by the CLC Store and sign up for our Good Dog Program during this limited time and receive a free CLC dog bandana and a coupon for Samascott’s signature Pup Sundaes! Can’t make it in the store this time? No worries! You can sign your pup up for the Good Dog Program any time, year round! Participants in this program will receive a special CLC gift each year as well as other exclusive promotions and dog-themed events!